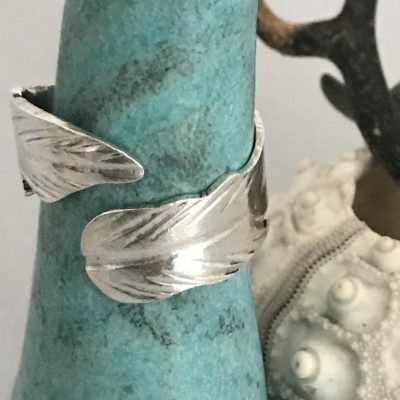 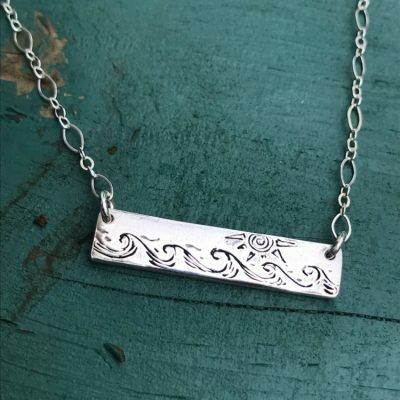 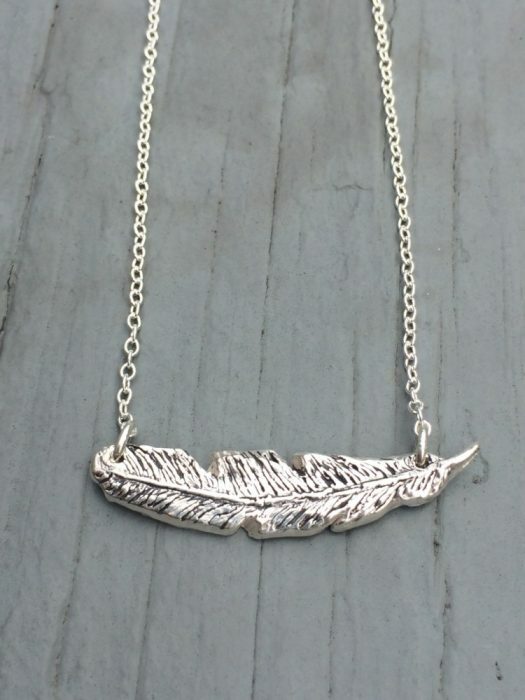 Fine Silver Feather Necklace, hand etched and horizontal. 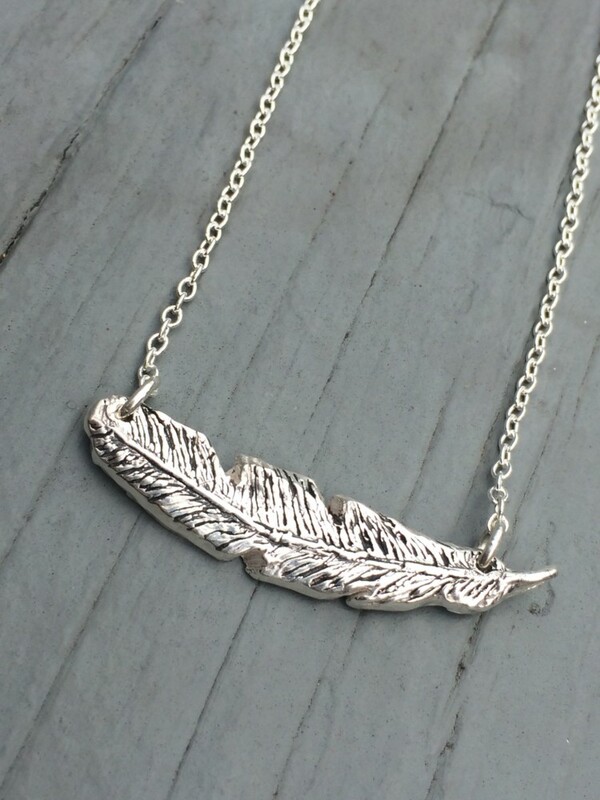 Fine Silver Feather Pendant Necklace. 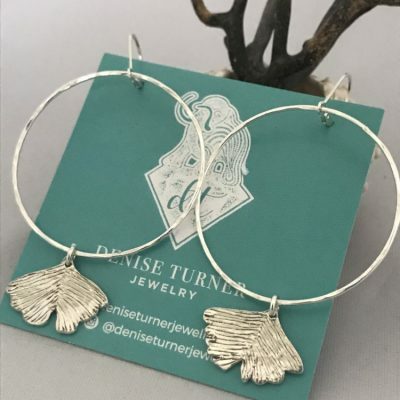 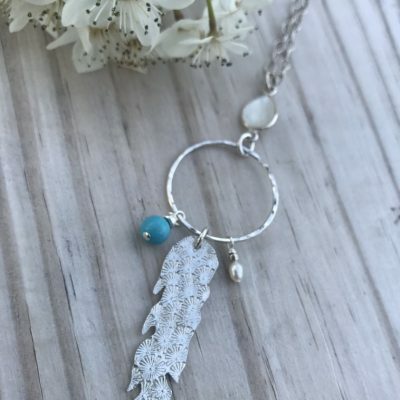 This handmade and lightly etched feather hangs horizontal on a long short sterling chain. 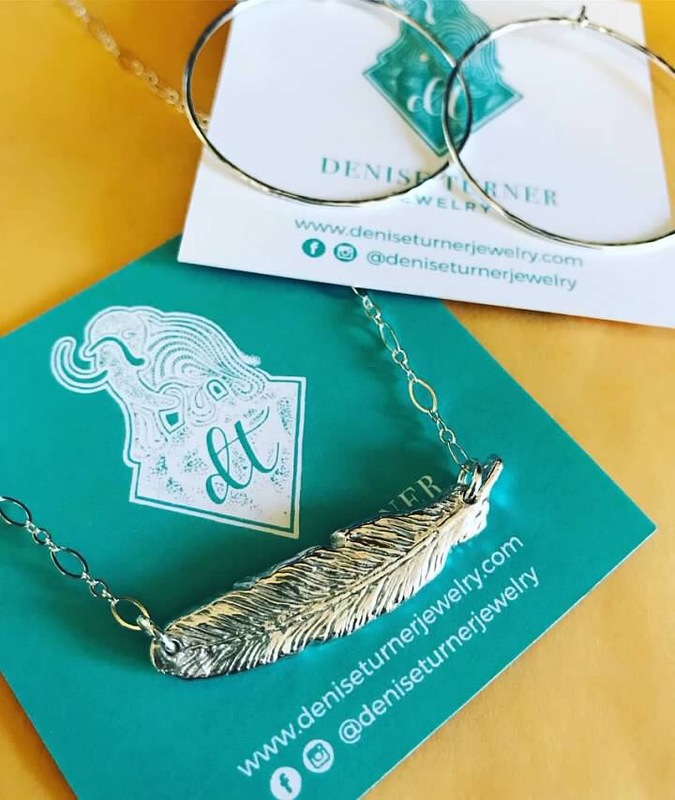 Feather necklace is made to fit at 17 total inches. 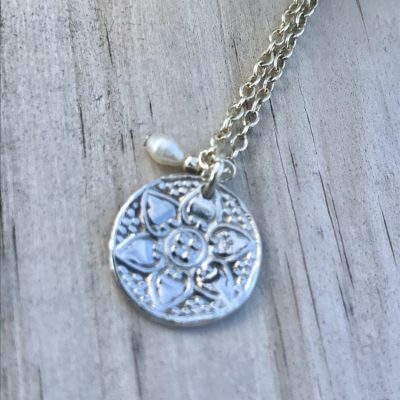 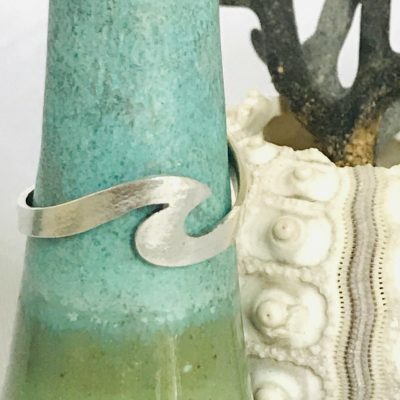 If you would like a longer chain please send a message for your request.